I finished the chenille scarf and my son has already worn it. 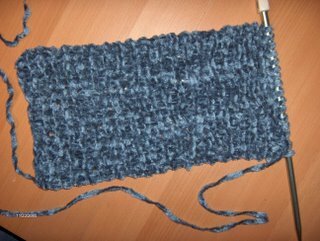 After looking at it I was sure I had knit it incorrectly. I grabbed some scrap yarn and started practicing knit and purl stitches. After a few rows of following a scarf pattern from Martha Stewart I declared to my husband, "It looks and feels like what it's supposed to." I think it would take a few months to finish it. 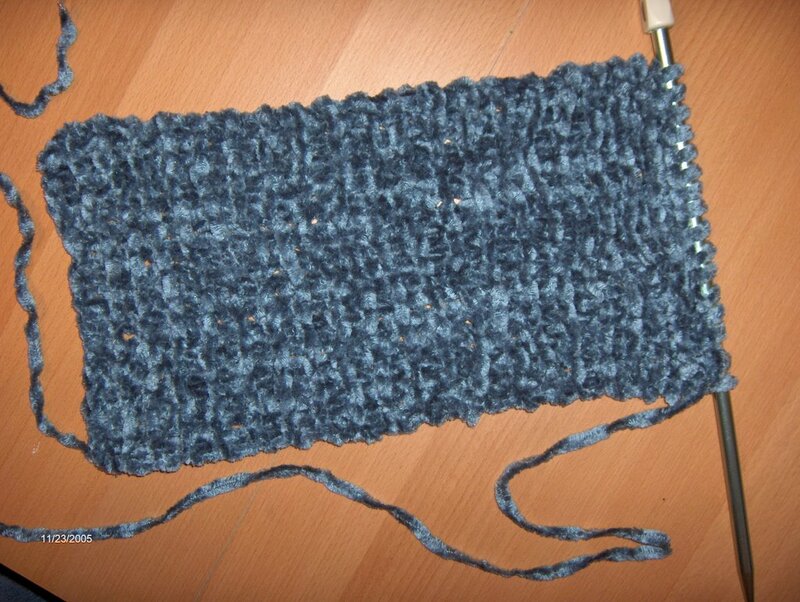 Knitting takes me considerably longer than crochet does. I need to focus on completing crochet projects for gifts. I'm finding this knitting thing alot of fun though and I can't wait until I can come back to it after Christmas gift making is complete. 659 stitching hours left. Add another needle to the mix. 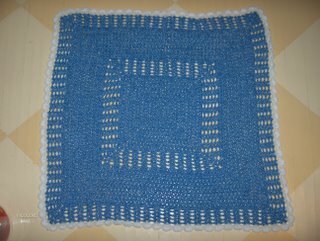 I started crocheting a year ago and have completed many projects. Last night I learned to knit. I can only hope it will bring many more exciting yarns and projects into my hands. For my first project I found some Lion Brand Chenille in the $1 clearance pile a few months back and it's finally found it's purpose. 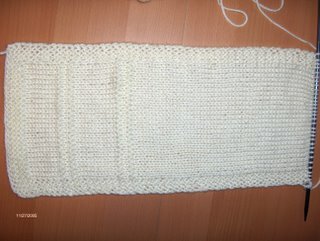 My first crochet project was a scarf so how fitting that my first knitting project is a scarf also. My oldest son has been eyeing this yarn since I purchased it so he may be the lucky recipient-we'll see. I wish everyone a great Thanksgiving. I decided to whip up a quick baby blanket. I used Red Heart Plush which I chose because it's economical and works up fast. I think it will work nice to cover a little one in an infant seat especially during the winter. It's surprisingly soft too which is nice. I should be happy about finishing another project. This was intended to be a baby gift. The pattern (ironically called "Precious in Pink")looked excellent in a white yarn. 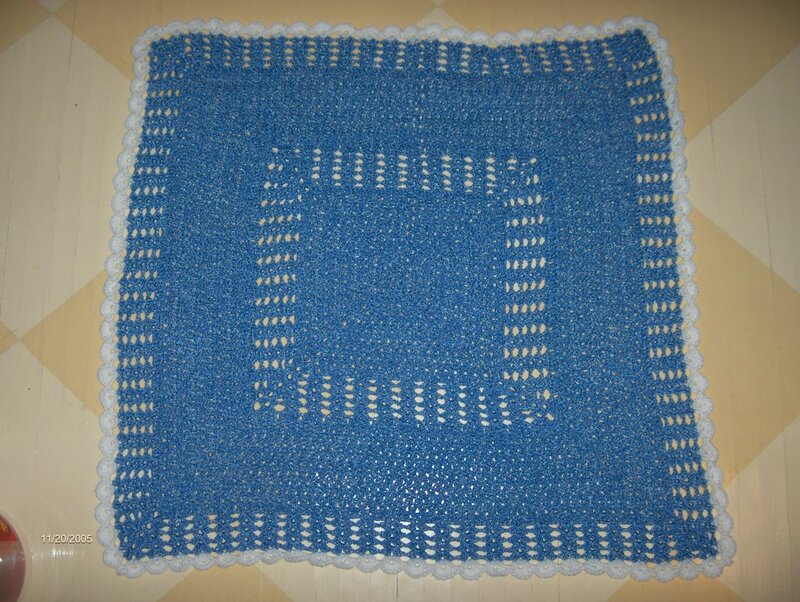 I aquired the pattern from a fellow crocheter Kathy who made this same blanket without much problems so I assumed I'd be able to throw one together quick. 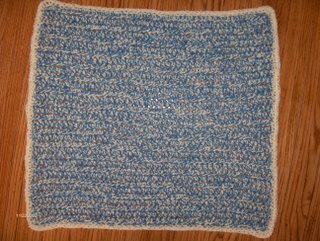 I'm glad this project is completed and that it was a small blanket not a large afghan. 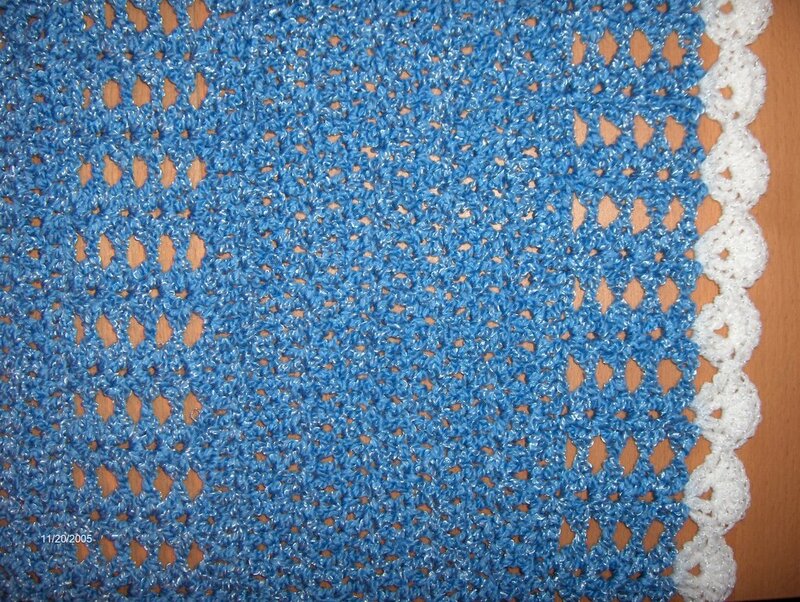 I've already started another blanket in hopes that the new one will turn out better(more baby friendly). Yeah, I can finally cross a Chicago Holiday tradition off my list of to do. Last weekend we met up with my Aunt who was in Chicago for business. The first stop Marshall Fields Walnut Room. There wasn't much on the menu for a Vegetarian diner but the hot spiked cider was great. This year the Walnut Room Christmas tree is decorated with more than 3,000 Swarovski Crystal ornaments and 25,000 lights. At the top of the tree is a 6-foot tall,200 pound crystal tree topper.If you're in town during the Christmas season one has to stop by to admire the tree either from the viewing area on the 8th floor or grab a table in the restaurant and have a drink. It really puts one in the Christmas spirit. The only downside was the number of people. Billy Crystal lit the tree up at Noon. Later, Emeril Lagasse was downstairs signing books. Saturday was also the grand opening of the animated windows. This year it's the classic fairy tale of Cinderella. There were so many people around the windows we couldn't get close enough to see them. The Let's hope they keep this tradition when Macy's takes over at the first of the year. The kid's even saw Santa. Sunday was my husband's birthday. 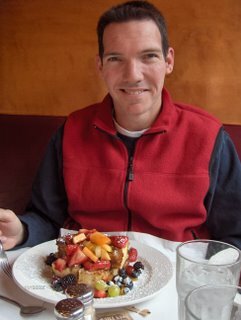 He's a huge breakfast fan and we've heard of a restaurant-Toast(in Lincoln Park neighborhood) that was supposed to have awesome French Toast(his favorite). 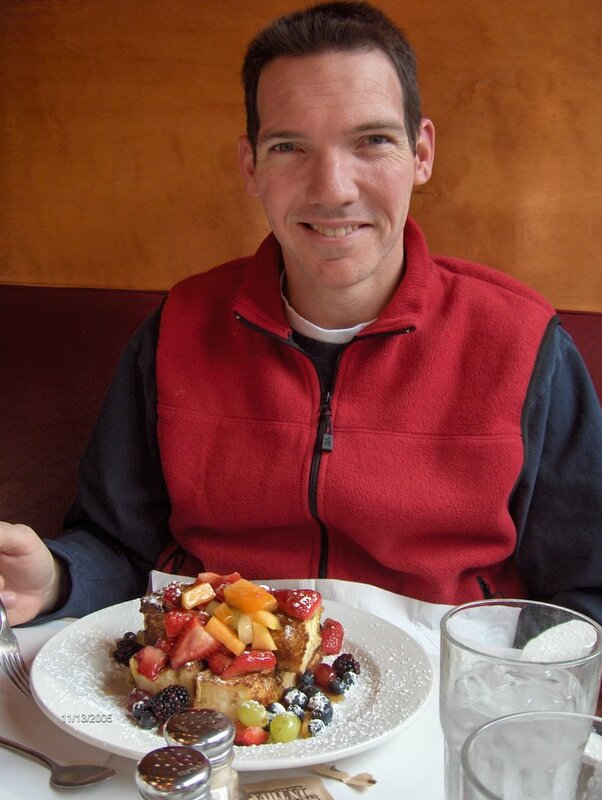 I ordered some buckwheat blueberry pancakes covered in fresh fruit that was amazing. Here he is with his belly busting portion. Just up the street is my favorite veggie restaurant, The Chicago Diner. They're having a vegetarian Thanksgiving next week that vegans and vegetarians dream of. Ahh, maybe on my next trip to Chicago. It was so nice to visit with my Aunt. We only see her once a year so it's nice to catch up with one another. I struggle with this daily with my kids. 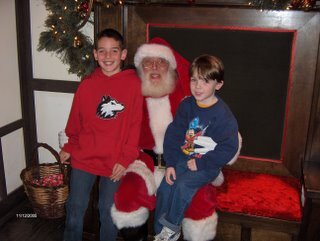 How can two boys from the same parents be so opposite of each other? At least it keeps our lives interesting. I've started to ask myself this question about dogs too. When I finished my freshman year of college I adopted a pound dog from the local SPCA. He was with us through 7 apartments, 2 children, the adoption of a rescue basset and spent 14 years with us. He passed away in August and we miss his every quirky quality. He was always happy to see you come home. Never stole food from the table or counter. Never jumped on the furniture. Never barked unless necessary to ward off intruders. Never made a mess inside the house even after being left for 14 hours. This basset has a completely opposite demeanor. No "happy to see you" barks and tail wags upon returning home. Messes of pee and poop all over the basement after being left for a couple of hours. Packages of crackers and bagels stolen from the counter and table. Rips in the cushions of our furniture from jumping on and off them when we're not home. He's more friendly with strangers approaching the door than when we come home(not so comforting in our neighborhood). 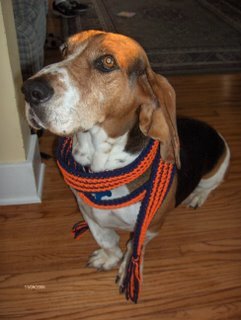 It's not fair to expect the basset to be a perfect dog but it's hard when Sammy was such a good dog. Even after 3 months of not having "old man" around, we haven't gotten used to life without him. The basset misses him too. For 2 years Sam was the alpha dog setting him straight, keeping him in line. We've thought of getting rid of the basset but I can't imagine life without a dog. I've lived with a dog for 32 of 33 years of my life. There's whispers in our house of searching for another dog in the future. Will dogs in our house work better in pairs? The basset would really like to have another partner in crime. It's been pretty easy with 1 dog. No guilty feelings of taking one for a walk and not the other. I guess I'll use the line my parents used with me-"we'll see." The basset is a Bear's fan. We're headed to Chicago for the weekend and I needed some Bear's attire. 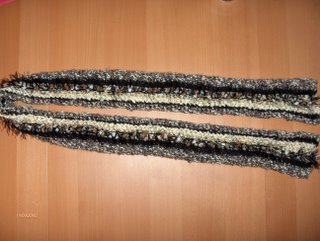 I made a scarf to wear to view the Bears Vs. 49rs game(not live but probably on a big screen in a sport's bar). 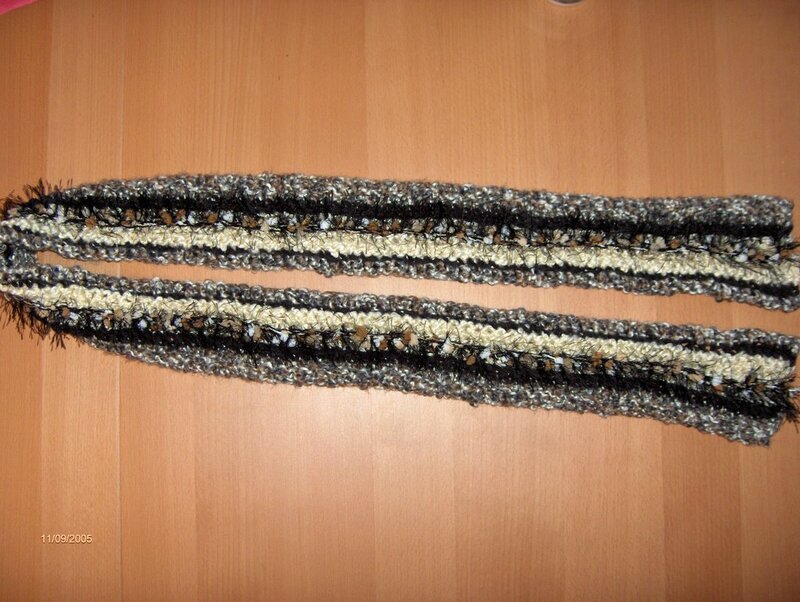 I made another scarf yesterday for a yet to be determined subject. 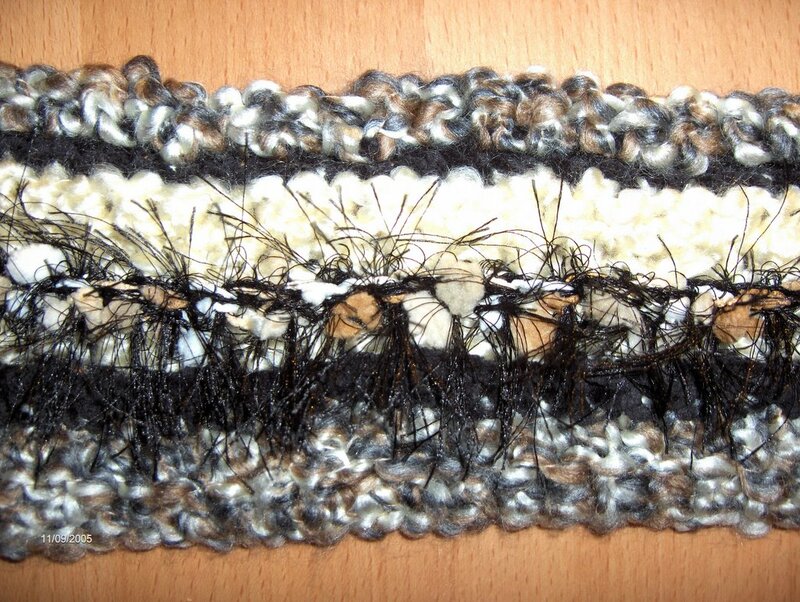 It has lots of different textures and together they are super soft. The pattern is here, it's from Lion Brand. I'd love to try some different colors. 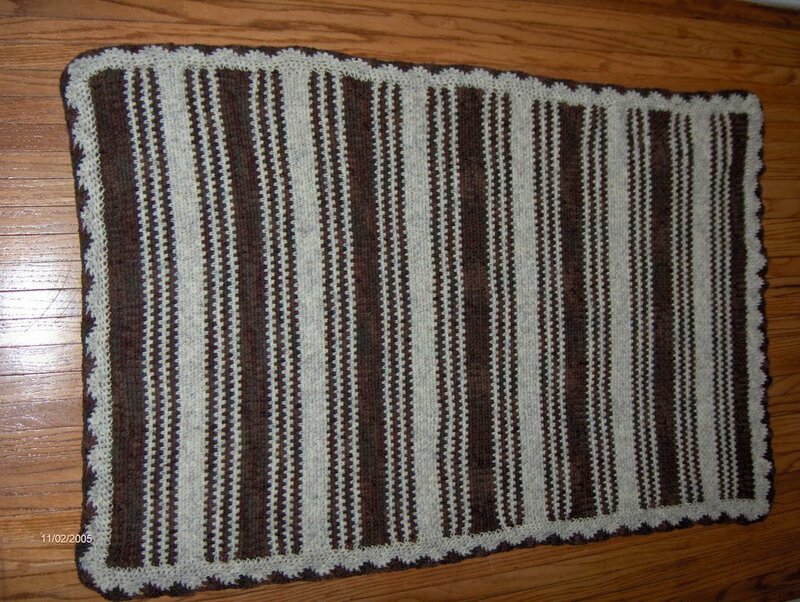 The colors I used seem pretty neutral so I didn't have to think of a recipient before completing. Yeah, I completed another crochet project. 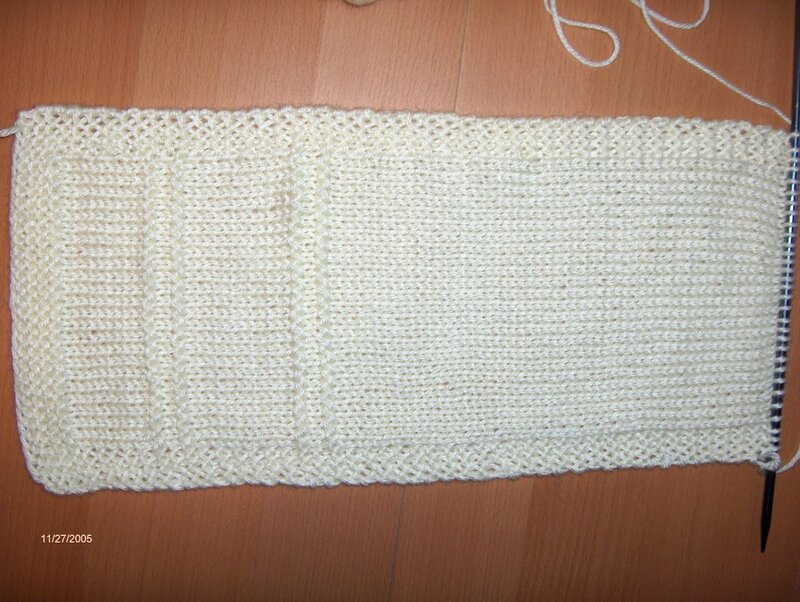 My first lapghan. 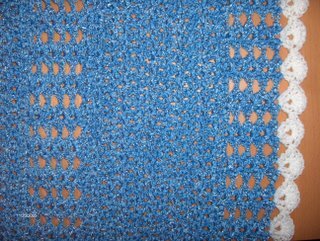 Well, some may consider it a crib blanket really considering the size of it(30"X50"). The pattern is here. 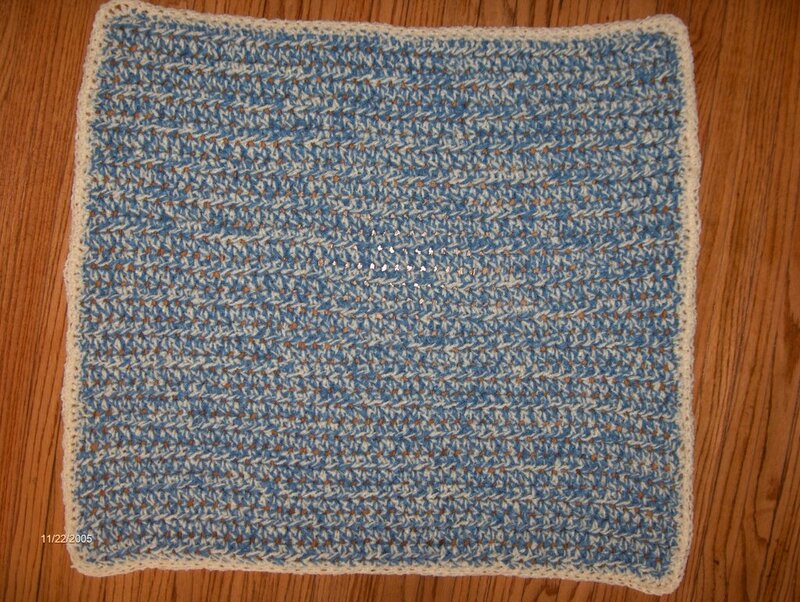 It took me about 10 days from buying the yarn(Lion Brand Wool Ease) to completing it. For me this is amazing. 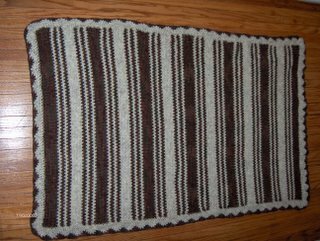 I learned the more stripes in an item the more weaving in there is left to do. At the recent sit n stitch a fellow member asked if I had added fringe. That's how many ends there were to weave in. Time to get focused on holiday gifts now that Halloween is behind me and there are 1255 stitching hours left until Christmas.